You may be unaware that Colombia has Latin America’s third largest economy or that it’s the second most biodiverse country on the planet. And, you might not have heard that in 2014, WIN/Gallup’s Barometer of Hope and Happiness survey deemed Colombia the happiest country in the world…for the second year in a row. If that didn’t get your attention, maybe we should look at why Colombians, and expats living in Colombia, are so darn happy. For one thing, dozens of Colombian cities and towns offer a low cost of living. 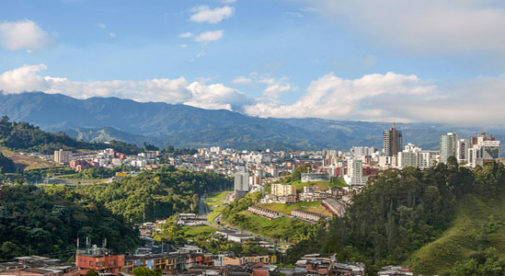 In Manizales, an elegant city in the middle of the Coffee Triangle, a couple can live comfortably on less than $1,000 per month. You can rent an apartment for less than $400, take a taxi across town for $5, and hire a housekeeper for under $20 a day. In smaller towns, such as Libano, where I live, you can rent a two-bedroom home for around $150 per month and eat out for $4 or less. Since Colombia lies so close to the equator, temperatures remain the same year round. And, you can find a climate that suits your comfort level. If you like hot, humid weather, one of Colombia’s valleys, or perhaps the Caribbean coast, might fit the bill. If cooler weather suits your fancy, you’ll find all types of cities and towns throughout the Andes Mountains. Between 2012 and 2013, medical tourism in Colombia increased by over 60%. Sure, folks travel to Colombia to take advantage of substantially cheaper health care services, but they also come for Colombia’s excellent hospitals. A recent study conducted by America Economia magazine ranked 18 Colombian health care institutions among the top 40 in Latin America. Since the Colombian constitution defines health care as a basic human right, more than 85% of the population has health care coverage. 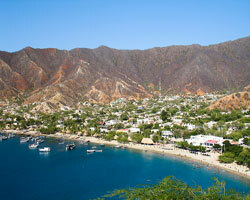 And, if you retire to Colombia, you can easily obtain low-cost health insurance. Premiums cost just 12% of your pension, which is a great deal, because you can recoup the cost in services. My health insurance costs just $100 per month…and covers two people. I pay $5 for doctors’ visits, lab tests, dental appointments, and most prescription drugs. The low cost of living, excellent climate, and attractive lifestyle all contribute to why people in Colombia are so happy. Great health and a low cost of living will leave you with lots of energy and extra cash for enjoying life. And believe me, you’ll never run out of things to do and places to discover here. Colombia has 20 annual holidays, most celebrated with a festival or parade. You can head to Popayan for the annual food festival, visit Bogota to enjoy free symphony orchestra concerts, drop by Medellin for the flower festival, and immerse yourself in drama during Manizales’s international theatre festival. If you’re an outdoor enthusiast, you’ll find a wealth of activities from which to choose. Horseback riding through the Cocora Valley is a perfect way to spend a weekend and a week of scuba diving in Tayrona Park makes for a perfect vacation. You can trek to the dome of a volcano in Los Nevados National Park, enjoy whitewater rafting in San Gil, mountain bike through the desert in Villa de Leyva, paraglide over the city in Bucaramanga, and explore coffee plantations in Salento. Learn more about Colombia and other countries in our daily postcard e-letter. Simply enter your email address below and we’ll send you a FREE REPORT: Beautiful, Diverse and Safe – Take Another Look at Colombia. 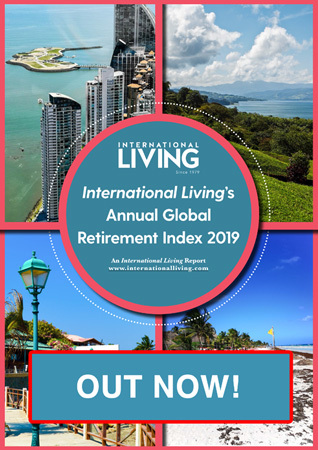 This special guide covers covers real estate, retirement and more in Colombia and is yours free when you sign up for our IL postcards below.